FacilitiesAmidst the beautiful mountains and a lot of flora, Hotel Kaka Inn offers amazing views and an energetic vibe to its guests for a refreshing stay. The bedrooms are designed using modern designs and a fine combination of colours which create a soothing ambience. The furniture used is classy and the wooden furnishings along with the paintings displayed in the rooms completes the look. 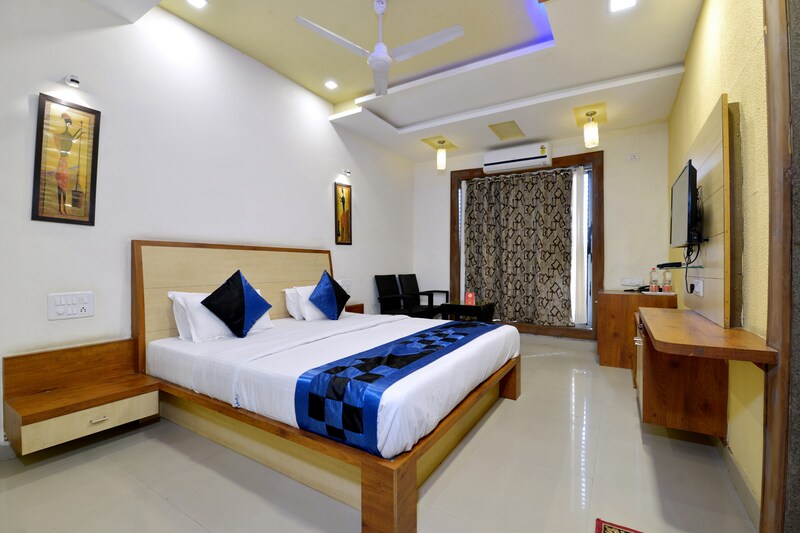 The lamps used in the rooms with the slightly printed curtains provide elegance to the place and there are mini fridge installed in the rooms. The property offers power backup and parking facilities for the guests travelling through their own vehicles. A CCTV setup is there in the premises for the extra security of the visitors.